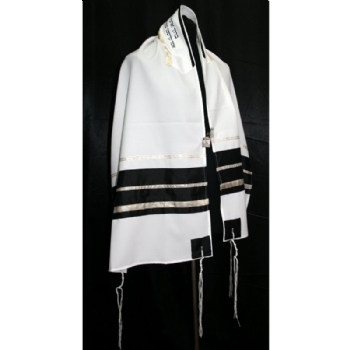 This beautiful Black-Gold Stripes tallit specially made for your Wedding Occasion with an embroidered blessing on the neckband. Finely embroidered silk panels embellishes the tallit. Hand painted 3 piece set with silk bag and kippah included.